Simple fitting solutions to empower your creativity, using your dress form as your best fitting assistant! 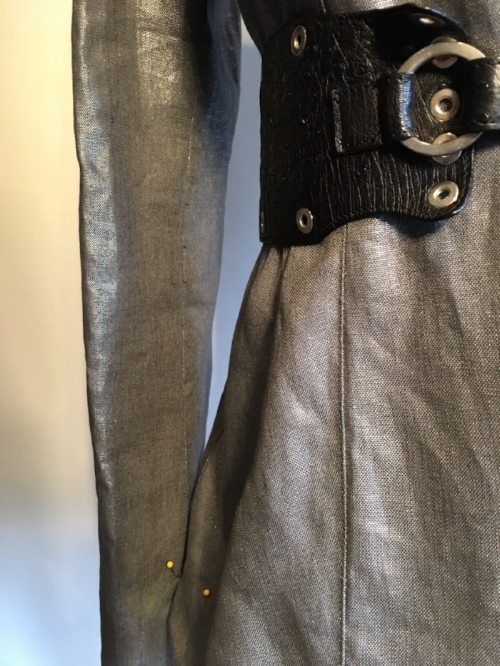 Behind the scenes at Fabulous Fit, we've been working hard to solidify decades of fitting experience to show you how easy fitting clothes on a dress form can be! Whether you’re creating clothes to fit the world or one special person (especially yourself), FIT MADE EASY!© (our fitting room) will guide you through every fitting challenge. We'll provide you with insider fashion tips from top designers on a range of topics. You’ll find everything from "Getting to Zen in Your Closet", to finding and fitting clothes for special fitting issues. You won't need to study or struggle to figure out what to do, because the techniques are repeated in many different ways in each lesson. We answer all your questions with fitting points tailored to your fitting needs, from backless wedding dresses to pesky collars; or how to fit a fabulous pair of pants – all with guidelines to the rules. FIT MADE EASY!© is built around Jill's career in designing clothes for every major clothing store from Bloomingdale's to Barney's. Here, Jill shares herself, and hosts her friends' knowledge, common mistakes, and guidelines; for a fabulous fit! LESSON 1: It all begins with simple steps! Jill's fitting techniques may seem unusually simple, since each process takes so little time. Simplicity, however, is her point. Plan and follow. Each small step has a purpose. As you follow the steps in our Fitting Sequence and pinch and release the fabric to follow the curves of the body on the dress form,  you’ll see how simple fitting really is. Creativity starts with understanding your curves, and how everything you create is part of that sensibility for your best body silhouette. Simple dress form techniques make fitting easy and fun! JOIN US...and read on! Finding your style is not always easy...we get that! Every project begins with planning, and planning begins with inspiration. In this lesson we'll talk about silhouette and how-to fit clothes that give you a sense of empowerment in color, silhouette and lifestyle. By the time you have a big pile of silhouettes, colors, and ideas, you’ll be surprised at how much of your style is right there waiting to be created! Create a Million Dollar Pattern! LESSON: 3 Learn how to fine tune that basic pattern (to be changed a hundred times), and simplify every fitting. The fitting points for every style are the same but are adjusted on the dress form to create a classic, trendy, or over-sized piece. Shape the dress form starting with the anchors (shoulders for jackets and tops, and waist or upper hip for pants and skirts). The fitting points reflect the proportion and silhouette for everything you create on your body shape, so patterns can easily be altered for many different styles. Join US! LESSON 4: Seeing how your clothes will look and feel starts with your dress form! Play with the material... pinch or release the fabric to straighten the grain lines. Learn how to allow movement for "pressure points" of the body; where the fabric meets curve, or where added ease is needed to raise arms or bend elbows. Love the Art of Not Draping! Love the jumpsuit by Valerie Mayen! LESSON 8: Anchor the shoulders and sashay away! The shoulders and upper chest match the slope of the body. When you shape the movement points on the upper body, the dress won’t slip back, nor forward...even with the most flowing bodice. The bust can be shaped, molded, or eased. Valerie shares her steps in pictures on the dress form. LESSON 9: From years of Jill's research and design experience, she knows that fitting for Scoliosis, Osteoporosis (or any special need) is its very own bad boy challenge! Whether you’re fitting for an uneven shoulder or a very round spine, her message is this: BE COMFORTABLE! No second. Work with what’s there. Find your fit, and you will create your most empowering style! Lynda's work is created on the dress form that not only matches her clients’ movements but her clients’ lifestyle. Her leather is a work of art, as she shapes the skins for curves, sensuous bodies, and virtually any body shape. What we love about Lynda's magic is that she gives you fashion for every age! Her fabrics and skins are the finest quality, always hand-picked by Lynda herself. Her clothes are truly timeless. LESSON 11: Ginger Holley is head designer for the Star Trek Continues Web Series! Learn how to create clothing for curves, how to match the pressure points on your dress form, and how to make clothing that freely moves - even if you’re not part of the Starfleet Command. Ginger gives us her step-by-step guide to flowing and fabulous clothes. Learn more about plus size clothing and Ginger’s designs. She’ll be taking orders on her clothes very soon – www.gingerholley.com Join Us! Thanks to dress forms, there are a million ways to change the detail on a perfect-fitting blouse, jacket, or pair of pants without ever changing the fit! Once you have the body shaped to the dress form, and a few basic patterns, your creativity will soar. 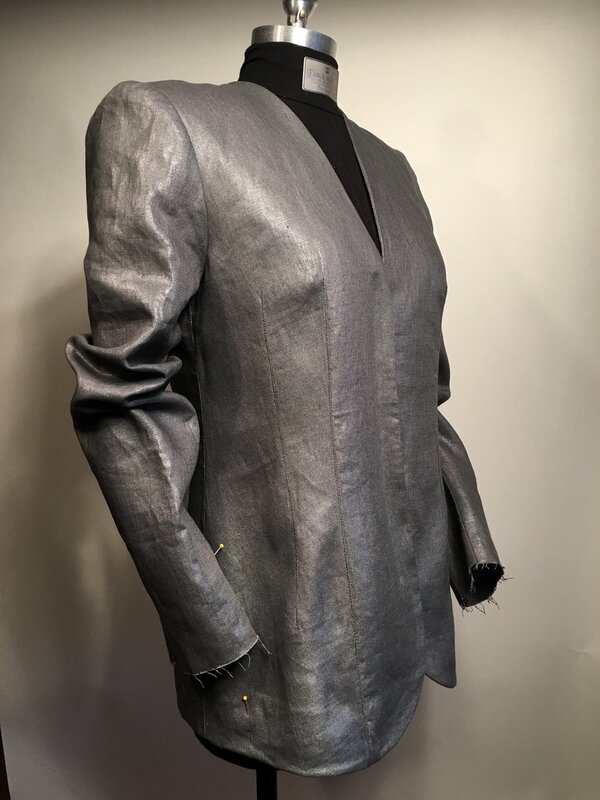 Learn how easy it is to have fabulous fitting clothes created in so many ways. Valerie shows us her inspiration and steps! Join us! www.yellowcake.com VALERIE MAYEN …Thank you! Create it for Pennies! One Pattern, Infinite Possibilities! LESSON 13: Create fabulous clothes for pennies! Jill's simple clothes! Spend a Saturday afternoon with...Two Fronts, Two Backs, and Two Sloppy Circles! Use one basic pattern to re-create infinite dresses or blouses! This is the beginning of a series of dresses that all started with one basic shape; fine-tuned on a dress form. What makes this fitting fun is that everything you create, when you change that pattern, takes so little time. All you have to do is put it on your dress form and... play. Learn how to make this dress in no time and spend pennies! Join us for more! LESSON 14: Working with Leather and Shapes! Make It Fun! Ruffled Skirt Fancy! LESSON 15: Create a wedding skirt made for a "Circle of Love". No circles attached...just free falling pinwheels from the bandeau at the waist. Total cost of fabric and thread: $40.00. Unforgettable! Simple, fabulous clothes! 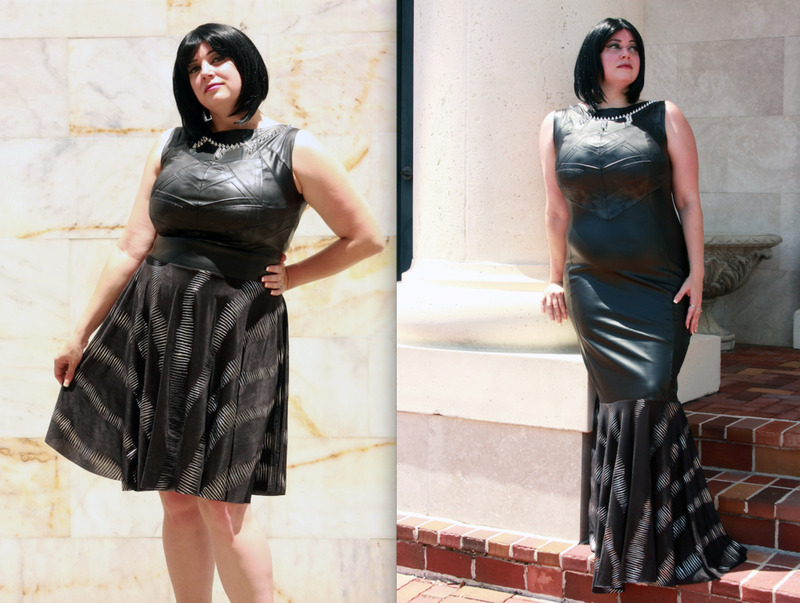 Lesson 17: The power of the pencil skirt! The best way to start with fitting detail is to go back to your most basic pattern...one more time. Every good design starts with a plan...so, go ahead and PLAY...Create the vision on your dress form! When I was invited to design and manufacture boutique uniforms for 600 Wells Fargo Managers, (coordinated with Banana Republic Men), I knew there was only one way to make this project a success. I needed a fabulous FIT! As you can only imagine, there were 600 absolutely unique bodies... Here's how we planned..
Easy, comfortable, fabulous jacket sleeves! If you've ever tried to drive a car or hug a friend with sleeves pulling...do not miss the steps on why! Sleeves make the difference in EVERY jacket...because you can move and dance and hug. Balance the ease, and you will have jackets to live in!